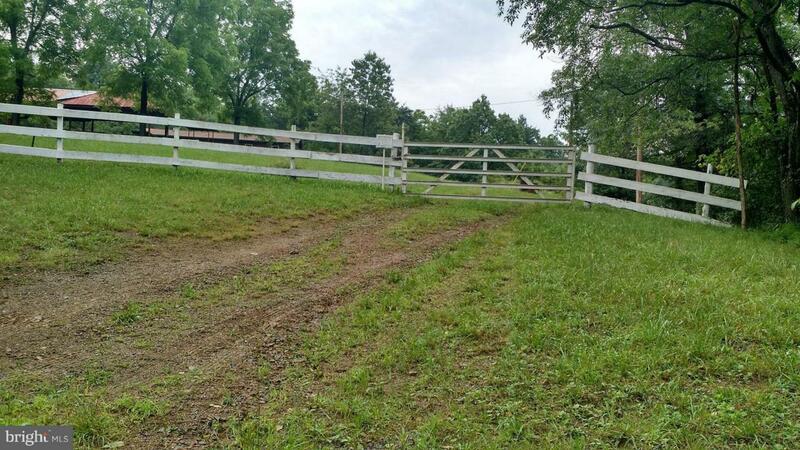 150+/- private acres 2 miles off rt 30 in Harrisonville, PA. Improved property with Water/Sewer and Electric.Great for home, campground, event center, family reunions, hunting club or avid outdoor person. Ideal for underground bunker.Home to bear, deer, rabbits, squirrel, birds and bass in the 3 spring fed ponds on property. 10x50 stick built, 1 BR, half bath, house ready to be finished.Easily accessible acreage, grassy areas, cleared areas ponds and wooded areas. Large pond (approximately 1 acre), 17 feet deep with 2 -four person paddle boats and an inflatable row boat convey. Also, 2 additional smaller ponds on acreage. Detached, stand alone bathroom building, with his and her facilities. Block walls with metal roof. Huge 24' x 65' open, heavy duty picnic pavillion with 15 tables, metal roofing and elctricity. 45 minutes from Raystown. 2 hours from Baltimore/Washington area.